The Indie Games Uprising III is over now, and there’s plenty to review once I’ve spent enough time with the remaining games. In the meantime there are some quick look videos on The Indie Ocean’s YouTube channel. I can tell you right now, though, that one of the Uprising games has displaced a regular diner at my Captain’s Table of the finest Xbox Live Indie Games. 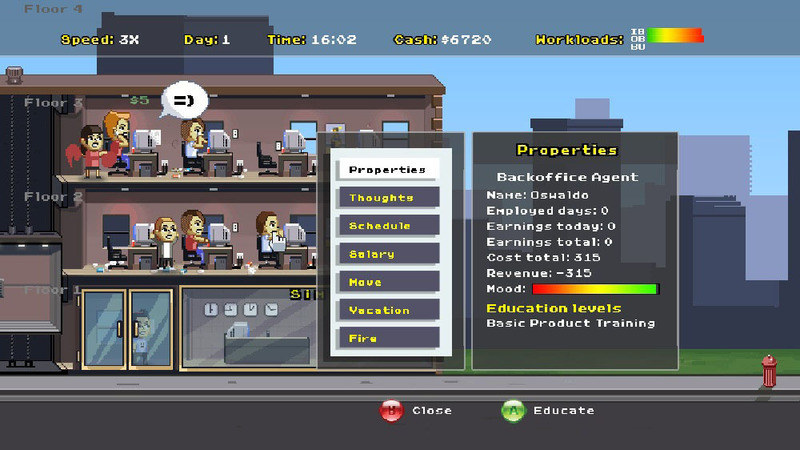 Congratulations to Smooth Operators: Call Centre Chaos, which offers us a management sim smooth, professional and addictive enough to rival the classic likes of Theme Park. And for only 80 Microsoft points! That’s almost offensively good value. If you’ve ever got even a moment’s enjoyment from a Theme, Sim or Tycoon game, go and take a peek at Smooth Operators. My very first, instinctive gut reaction when I read down the list of titles included in the Indie Games Uprising III and saw qrth-phyl was to facepalm so hard that I dislodged a couple of molars. Never, ever, ever, EVER, EVER release a game with a title that makes your audience’s brain emit smoke and label the game forevermore ‘that one with all the random letters’. Key marketing basics #7: have a name that people can at least try to repeat from memory. Insane, nonsensical title aside, qrth-phyl makes some bold claims for itself, touting adaptive design – that is, the game changes depending on how you play it, so not only is different each time, it’s different in a way that’s tailored to your playing style. 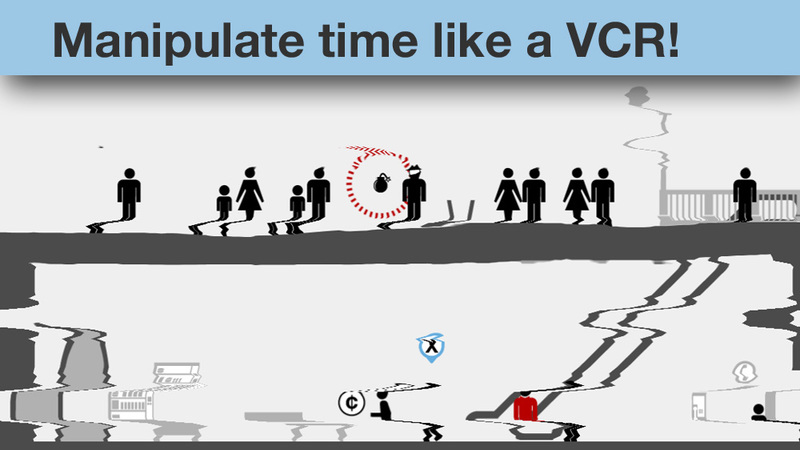 In practice this manifests mainly as difficulty fluctuations. Think a less sinister version of the AI Director in Left 4 Dead. Do well and the next level will be harder; do badly and it’ll go easy on you. This variety is absolutely essential to any hope of longevity here, since it rapidly becomes obvious that qrth-phyl is basically Snake. Not Hideo Kojima’s snarling super-commando but the antique game that was packaged as standard with every mobile phone ten years ago, and was geriatric even then. 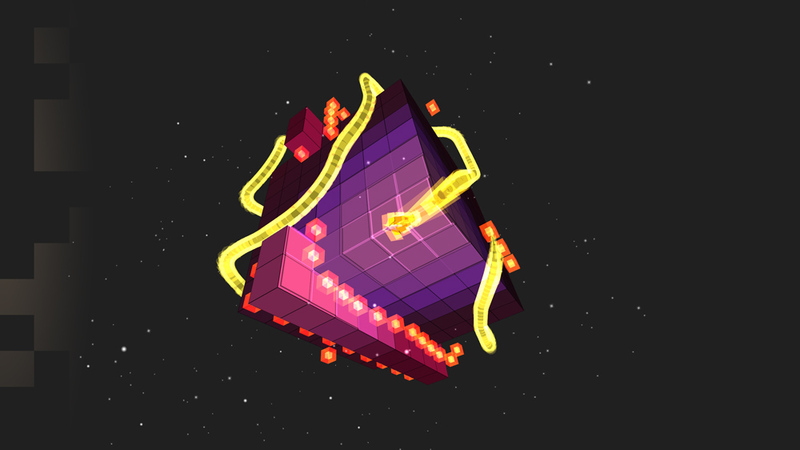 Despite its hyper-retro foundations, qrth-phyl is one of the more original games I’ve played recently. Many indie games claim to be a modernisation of a classic while in fact being barely more than a fresh coat of paint, but this one really is. It works as a series of short stages, each a variation on the basic Snake format. Some take place on a flat plane, but with the addition of the ability to flip to the opposite face of the plane. Others are set on a cube, with the snake manoeuvring across its various surfaces. You’ve thwarted me for the last time, Rubik! 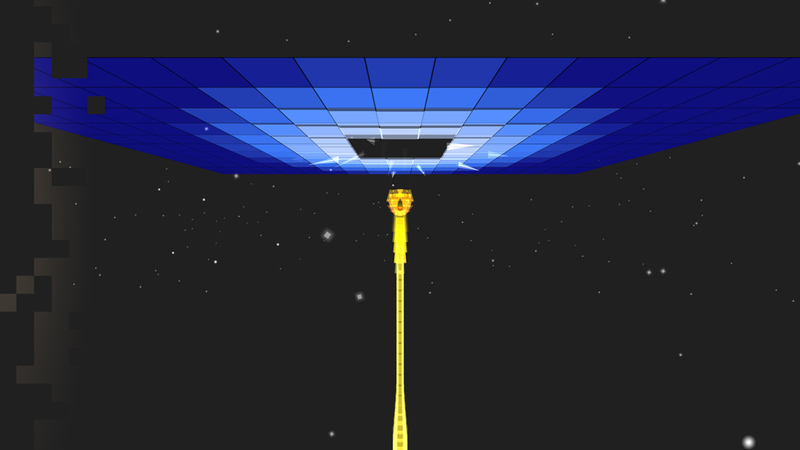 The main variation, though, comes in the three dimensional levels, wherein your snake winds its way through a cubic room collecting dots and trying not to collide with itself or occasional obstacles. This could easily have been a grisly gameplay fiasco if it had controlled like the average 3D XBLIG, but Hermit Games have managed to strike that most delicate balance here. The snake’s controls are smooth but not slippery, and responsive without being twitchy. This makes all the difference; it prevents these levels getting frustrating or feeling like a cheap pocket change basement project. It may be exactly that, but it doesn’t feel like it, and that makes a world of difference. Sadly, the fluid controls are offset by a visibility issue. 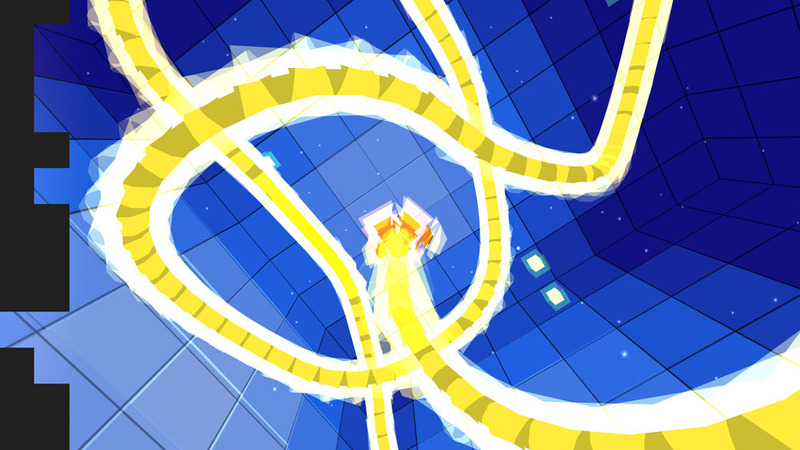 qrth-phyl actually has one of the better 3D cameras I’ve seen lately, particularly by indie games standards. It doesn’t do anything awkward, strain against the player’s directions or twist in disorientating ways. The problem with the visibility isn’t that the 3D camera is bad, it’s that there’s a 3D camera at all. Being able to see the whole of your growing tail was vital to Snake’s fairness as a game. Here you catch glimpses of your tail but often don’t know where most of it is, and sometimes this is all it takes to end your game. 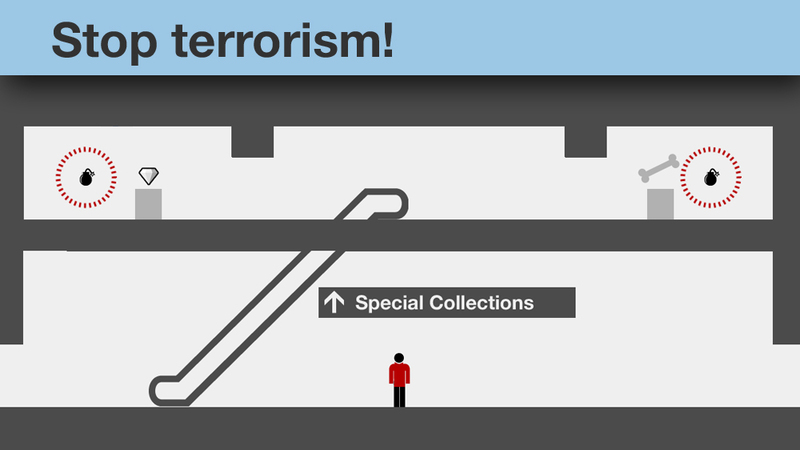 Even in the more 2D levels this can be a problem. The cube levels, for instance, have your tail wrapped around the cube onto multiple faces, so at times you have no idea you’re about to crash until it’s too late. Even the simplest level, the original flat plane, suffers from this to an extent as you’re required to flip over to the underside blindly. It isn’t a game-ruining problem so much as a nigglingly persistent one. It’s always there, gnawing at the edges of the fun. Fortunately the rest of the game is competent enough to compensate. The thing that keeps qrth-phyl from being an easy recommendation, though, is the repetitiveness. Like Hermit Games’ previous release, Leave Home, the adaptive design of qrth-phyl doesn’t deliver on its promise. It gets closer to that dream than its predecessor ever did – my 25-ish playthroughs of Leave Home were all essentially identical – but it isn’t enough to sustain prolonged interest. There’s no denying that this first release of the Indie Games Uprising III is brave and distinctive, and I can’t praise those qualities highly enough. It’s also quite fun for the odd brief play session if time is short. There are plenty of people who love this sort of quick-fix game that they can dip in and out of – it’s an itch that still exists but that mainstream games no longer bother to scratch. 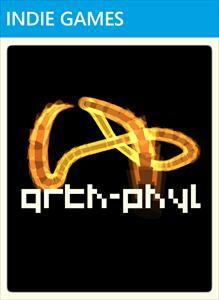 Ideally qrth-phyl would find its home as a mobile game, providing short bursts of entertainment on the move, but sadly it’s chosen to Leave Home (ho ho) and finds itself slightly out of its depth. At 80 Microsoft points it’s worth buying just for its inventiveness alone, and it will be fun for an hour, or longer if you’re in love with simple games, but when you switch your TV on and sit down at your Xbox in the coming days and weeks, you might find you need something a little more meaty than this snake. It’s coming. In the wake of last year’s reasonably successful summer and winter Indie Uprising events comes the biggest yet: the Indie Games Uprising III, also known amusingly paradoxically as the Fall Uprising. Nine games in the ninth month, all brand new releases from ambitious indie developers, and some that have already made me gape with barely suppressed gaming lust. 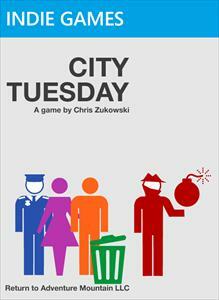 The finished products haven’t landed yet, but the Indie Ocean’s pick of the bunch at this pre-release stage is City, Tuesday in which you play someone stuck repeatedly reliving the same five minutes before a terrorist attack. Profiles of this game and the others in the Uprising will pop up like mischievous gnomes over the next few weeks. Once the games hit the market there will also be some unprecedentedly delicious video treats in store that you’ll find only on the Indie Ocean. Nine games, the voices of nine developers, and a big heap of my acerbic ruminations. Stick around.